Have you been to this market yet? In July of 2015 we opened a retail location inside the brand new, year-round Boston Public Market. The Boston Public Market is the only seasonal, locally-sourced market of its kind in the United States. Everything sold at the Market is produced or originates in New England and 90% of products are from Massachusetts. 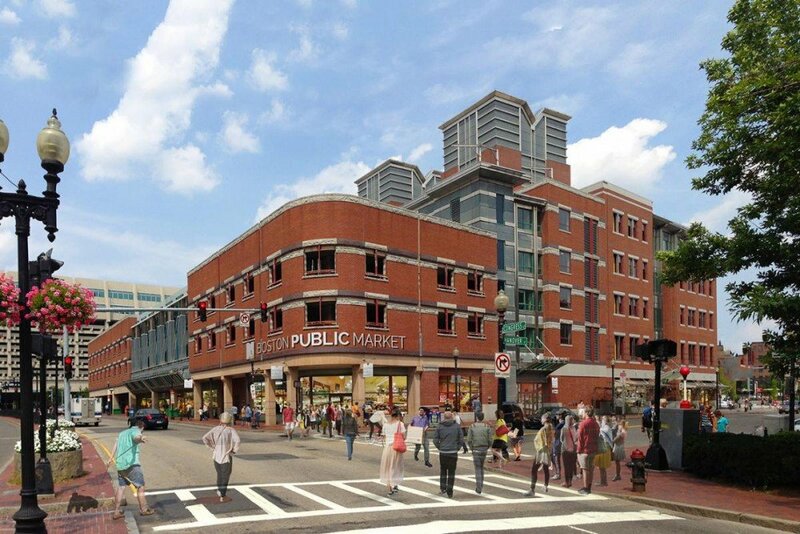 The market spans the ground floor of 100 Hanover Street in downtown Boston’s emerging Market District, next to the Haymarket pushcart vendors and the historic Blackstone Block. American Stonecraft occupies a selling wall at the front entrance of the market. Products handmade by the studio through our partnerships with 70+ New England farms are available for purchase at this location. $10 Flat-Rate UPS Shipping is also available for products purchased here sent anywhere in the Continental US. We are thrilled to be a part of this vibrant community of over 35 producers, only three of which are not selling edible items, and invite you to opt-in to a new grocery model for your food shopping! $3 validated parking in garage above, up to 3 hours.